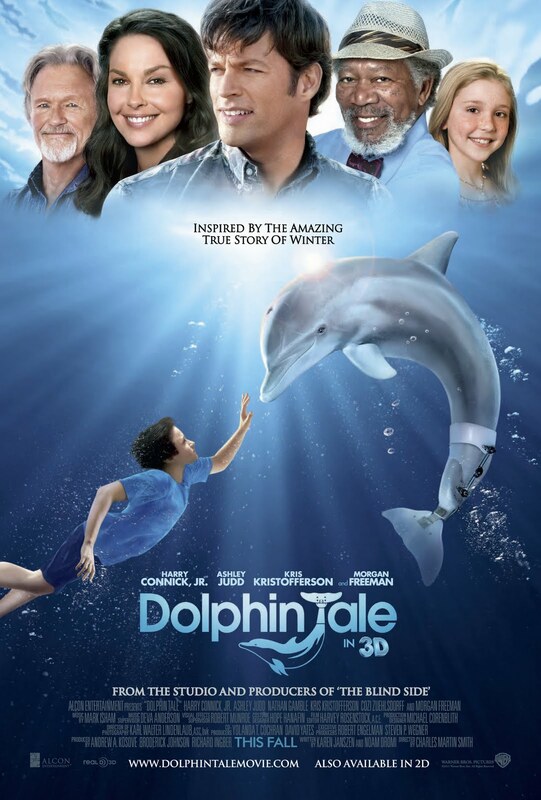 Dolphin Tale was definitely better than I thought it would be, and the interesting thing is that it is based on a true story, parts of which they show footage of at the end of the movie. At some points, though, the movie tries too hard to be "cutesy" and family-friendly. Sawyer (Nathan Gamble, "The Dark Knight") is stuck in summer school and isn't too happy about it. His cousin Kyle (Austin Stowell, TV's "The Secret Life of the American Teenager") is shipping out to the army and Sawyer knows the summer is going to be super boring. On his way to school one day, however, he finds a dolphin stranded on the beach, and a crew of people come to take her to the marine hospital nearby. Sawyer stops by to visit the dolphin - now named Winter - one day and meets the people who run the hospital: Dr. Clay Haskitt (Harry Connick Jr., "P.S. I Love You") and his daughter Hazel (newcomer Cozi Zuehlsdorff), and since Winter likes him, he makes it a point to stop by every day to see how she is doing. Winter's tail must be cut off because of infection, however, and she must learn a new way to swim; the way she adapts to swimming will eventually fracture her body. 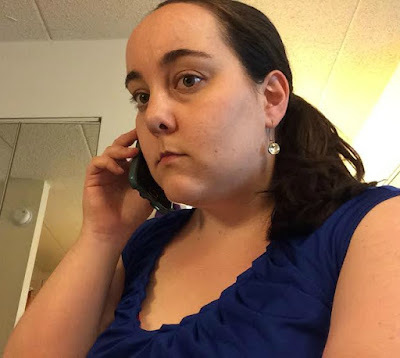 Sawyer talks to Dr. McCarthy (Morgan Freeman, "Red"), and the doctor is going to try to make a prosthetic tale for Winter, something that has never been done before for a dolphin. The kids in this movie were really cute (Gamble and Zuehlsdorff in particular) and the story was interesting. My only complaint is that sometimes it was a bit "over the top," in terms of trying to be family-friendly, and also the movie tends to drag in places, as it's almost 2 hours long. Freeman's character is actually the most interesting, and has the funniest lines, but unfortunately he's not in the film as much as the others. I was interested in seeing Austin Stowell on-screen because he has just finished filming the movie AWOL in Ann Arbor recently, and he plays Sawyer's cousin who goes off to the army and eventually has to come home. Maybe see this film. 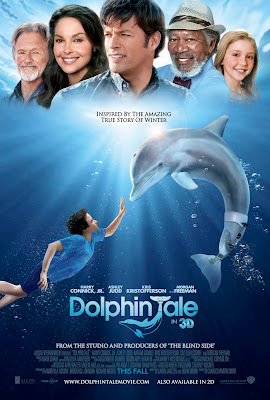 If you are looking for a movie that is very "family-friendly," Dolphin Tale is a good choice. I especially liked that at the end of the film, they showed footage from the actual Winter's rescue (and Winter plays herself in the movie, too), and the disabled children who got to visit her at the marine hospital in Florida. Children who have lost limbs were inspired by Winter - in one scene in the film, a girl who has one leg says to her mother, "Look, mama, [Winter's] just like me," in that Winter doesn't have a tail - and it's a nice story that was probably a good choice to bring to the big screen. Dolphin Tale is in theaters today, September 23rd, and is rated PG with a runtime of 112 minutes.